The Regional District of Nanaimo’s Community WatershedThe geographic area of land that drains water to a shared destination. The boundary is determined topographically by ridges, or high elevation points. Water flows downhill, so mountains and ridge tops define watershed boundaries. Monitoring Network (CWMN) has completed over seven years of water quality sampling on dozens of rivers, creeks and streams in the region. Recently, a comprehensive report analyzed this dataset to uncover trends and provide recommendations. Data on water temperature, conductivity, dissolved oxygen and turbidity is collected by trained stewardship volunteers and entered by RDN staff into the provincial EMS database. The sampling occurs once a week for 5 weeks in the low-flow period (August-September) and again in the fall-flush period (October-November). This initiative is led by the RDN Drinking Water and WatershedThe geographic area of land that drains water to a shared destination. The boundary is determined topographically by ridges, or high elevation points. Water flows downhill, so mountains and ridge tops define watershed boundaries. Protection program, and was developed in close partnership with the BC Ministry of Environment. The objective of the CWMN is to better understand and track water quality to inform efforts to preserve, enhance and protect the health of the region’s surface waterWater that flows in streams and rivers, and exists in natural lakes, wetlands, and in reservoirs. bodies. The long term goal is to identify trends in water quality to assist in regional land use planning, infrastructure, stewardship and restoration decisions. 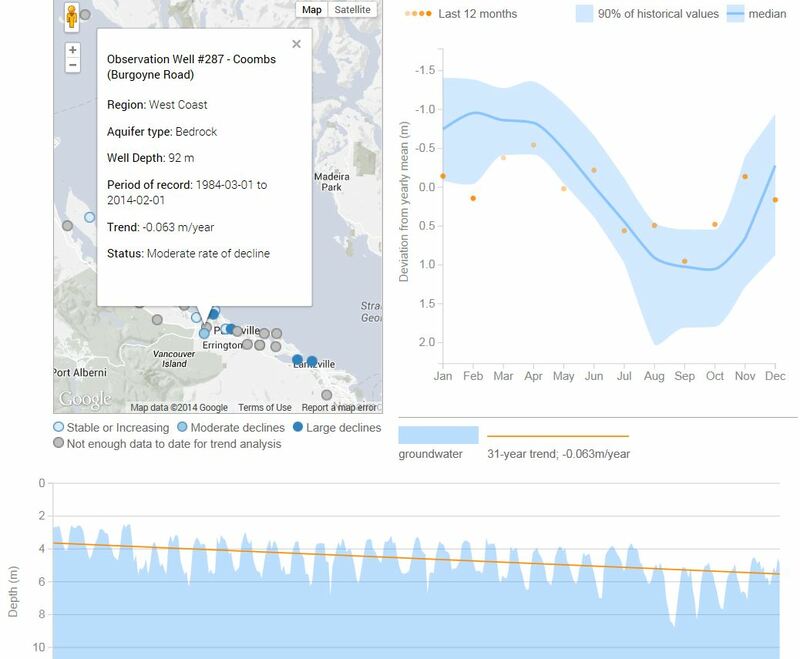 In 2018, consulting water quality biologists Ecoscape Environmental Consultants Ltd. analyzed the 2011-2017 water quality data from the Community WatershedThe geographic area of land that drains water to a shared destination. The boundary is determined topographically by ridges, or high elevation points. Water flows downhill, so mountains and ridge tops define watershed boundaries. Monitoring Network and produced a comprehensive trendThe relationship between a series of data points (e.g. Mann Kendall test for trend). analysis that examined land use factors that were related to water quality exceedances. The majority (79%) of sites with sufficient data demonstrated stable water quality that did not change over time. 12 out of the 34 sites with sufficient data demonstrated frequent exceedances of Provincial water quality objectives or guidelines over the 2011-2017 period. Seven of these 12 sites have high agricultural use in the watershedThe geographic area of land that drains water to a shared destination. The boundary is determined topographically by ridges, or high elevation points. Water flows downhill, so mountains and ridge tops define watershed boundaries., two of the 12 have upstream stormwater outfalls, and three are not well understood. Watersheds that were less than 60% forest use are associated with changes in water quality. Watersheds with greater than 20% agricultural use are associated with higher turbidity and lower dissolved oxygen. Watersheds with high paved road densities are associated with increased conductivity and higher water temperatures. The key recommendations from Ecoscape’s analysis included: improving streamside vegetation at priority locations; sampling for additional parameters to learn more about the source of water quality changes or issues; using the findings to direct targeted outreach and education on stormwater management and agricultural practices; updating mapping of land cover; and performing future trendThe relationship between a series of data points (e.g. Mann Kendall test for trend). analysis as more data becomes available. The DWWPDrinking Water & Watershed Protection program - Through the RDN's DWWP, we are working to learn more about water in the Region, use this information to make better land use decisions, and help communities protect the environment. The DWWP is supported by the City of Nanaimo, District of Lantzville, City of Parksville, Town of Qualicum Beach, and the RDN’s seven electoral areas. Learn more at dwwp.ca Technical Advisory Committee will be consulted on how best to implement recommendations from this analysis into the ongoing CWMN program activities through the regular operational budget of the RDN DWWPDrinking Water & Watershed Protection program - Through the RDN's DWWP, we are working to learn more about water in the Region, use this information to make better land use decisions, and help communities protect the environment. The DWWP is supported by the City of Nanaimo, District of Lantzville, City of Parksville, Town of Qualicum Beach, and the RDN’s seven electoral areas. Learn more at dwwp.ca program in the coming years. To see the report in full please click on this link: Surface WaterWater that flows in streams and rivers, and exists in natural lakes, wetlands, and in reservoirs. Quality TrendThe relationship between a series of data points (e.g. Mann Kendall test for trend). Analysis – CWMN Data 2011-2017 . In January through March 2019, presentations will be made to Councils and the public on the specific findings in each area of our region. Stay tuned! The Regional District of Nanaimo’s Drinking Water and WatershedThe geographic area of land that drains water to a shared destination. The boundary is determined topographically by ridges, or high elevation points. Water flows downhill, so mountains and ridge tops define watershed boundaries. Protection (DWWPDrinking Water & Watershed Protection program - Through the RDN's DWWP, we are working to learn more about water in the Region, use this information to make better land use decisions, and help communities protect the environment. The DWWP is supported by the City of Nanaimo, District of Lantzville, City of Parksville, Town of Qualicum Beach, and the RDN’s seven electoral areas. Learn more at dwwp.ca) program earned recognition as a finalist for this year’s Water’s Next Awards, hosted by Water Canada, for our outstanding accomplishments in the Early Adopter Project category! We were runner-up to the winners in that category, Water Rangers, announced on June 20th at the Water’s Next Award gala in Vancouver. 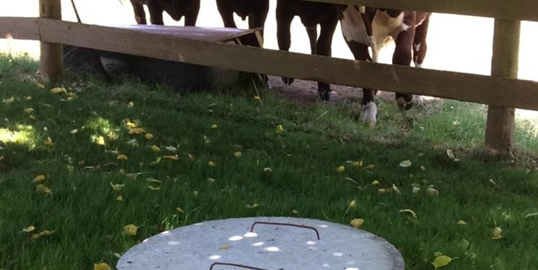 What makes the RDN an early adopter is the implementation of a program that addresses drinking water and watershedThe geographic area of land that drains water to a shared destination. The boundary is determined topographically by ridges, or high elevation points. Water flows downhill, so mountains and ridge tops define watershed boundaries. protection through regional coordination of water managementA framework to enable water planning, allocation and Framework management of water resources. initiatives across jurisdictions, employing collaboration with many partners on a watershedThe geographic area of land that drains water to a shared destination. The boundary is determined topographically by ridges, or high elevation points. Water flows downhill, so mountains and ridge tops define watershed boundaries./aquiferA geological formation that contains sufficient saturated permeable material to yield significant quantities of water to wells and springs. scale. This proactive investment in generating a strong understanding of regional water resources in order to support land use, infrastructure and development decisions that provide for a resilient and economically prosperous region is unique in all of BC. To learn more about the program efforts and accomplishments, see www.dwwpDrinking Water & Watershed Protection program - Through the RDN's DWWP, we are working to learn more about water in the Region, use this information to make better land use decisions, and help communities protect the environment. The DWWP is supported by the City of Nanaimo, District of Lantzville, City of Parksville, Town of Qualicum Beach, and the RDN’s seven electoral areas. Learn more at dwwp.ca.ca. Every year, Water Canada’s Water’s Next awards program honours the incredible achievements and ideas of individuals and organizations that successfully work to make a positive change to water in our country and abroad. This year there were 59 nominations and 34 finalists. Check out the other finalists and award winners at the Water’s Next website watersummit.ca/waters-next/. 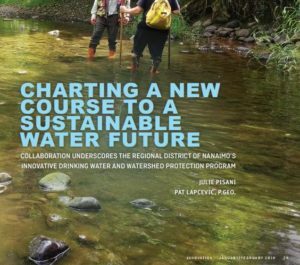 The Jan/Feb 2018 edition of Innovation Magazine (Journal for the Engineers and Geoscientists of BC), recently featured an article by the Regional District of Nanaimo’s Drinking Water & WatershedThe geographic area of land that drains water to a shared destination. The boundary is determined topographically by ridges, or high elevation points. Water flows downhill, so mountains and ridge tops define watershed boundaries. Protection program coordinator Julie Pisani. It highlights the collaborative and leading edge work done in this region’s watersheds and emphasizes the value of partnerships between government agencies, professionals, community members and industry in learning more about our water resources and acting to protect them. If you are interested to engage more on this topic, consider attending the upcoming Nanaimo Water Stewardship Symposium on April 12th, 2018. More information and registration details, here. The new BC Water Sustainability Act came into force on February 29, 2016. One of the most important pieces of new regulation was regarding groundwaterAll water beneath the surface of the ground whether in liquid or solid state. licensing. The main distinction to make in order to understand groundwaterAll water beneath the surface of the ground whether in liquid or solid state. licensing requirements is whether you are a domestic or non-domestic groundwaterAll water beneath the surface of the ground whether in liquid or solid state. user. If you are a non-domestic groundwaterAll water beneath the surface of the ground whether in liquid or solid state. user, you are now required to obtain a water license from the province. Wells used for domestic (household) purposes a single property ⇒ no license required; encouraged to register well with the Province. All uses other than domestic including agriculture, irrigation, commercial, power, waterworks etc.⇒ requires a license. a water license grants access to a total annual volume of groundwaterAll water beneath the surface of the ground whether in liquid or solid state. ; the licensee pays annual ‘rentals’ (fees) to the Province. if you want to avoid an application fee, you must apply for your license prior to December 31, 2017 (extended from March 1, 2017). Rental fees still apply, back dated to when the regulation took effect in 2016.
there is a 3-year window (starting from Feb. 29, 2016) to apply for a license in order to maintain status as an ‘existing user’ with a priority date of first use. Applicants after March 1, 2019 will be treated as new users with no historic priority date of use. What is the difference between registering your well and licensing your groundwaterAll water beneath the surface of the ground whether in liquid or solid state. use? GroundwaterAll water beneath the surface of the ground whether in liquid or solid state. licenses are only attainable (and required) for non-domestic groundwaterAll water beneath the surface of the ground whether in liquid or solid state. uses… i.e. uses other than a household well for domestic use… as described above. Domestic groundwaterAll water beneath the surface of the ground whether in liquid or solid state. users are encouraged to register their well(s) with the Province, so their domestic water rights can be recognized. Registering your well creates a record (i.e. a dot on the map) indicating your domestic water useVolume or rate of water diverted or withdrawn from a water body (e.g. a stream, lake, or groundwaterAll water beneath the surface of the ground whether in liquid or solid state. aquiferA geological formation that contains sufficient saturated permeable material to yield significant quantities of water to wells and springs.) for use by humans on the land surface. Actual water use is determined through direct measurement. 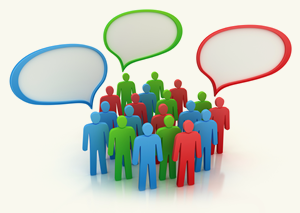 and helps to ensure that your use is considered by the decision makers dealing with other license applications. This is to the domestic well owner’s benefit. There are no fees involved with registering your well, it is just a matter of creating a record. When registering your well you will need any available information such as your well log, well location, well depth etc. To see if a well record already exists in the Provincial database, contact FrontCounter BC. Registration is just for domestic use. If you are a non-domestic users, your well is brought into the Provincial system via licensing. Was this blog post helpful? Email waterprotection@rdn.bc.ca with comments, feedback or questions! The Province of BC on February 29, 2016 announced several initial regulations that have now come into force under the Water Sustainability Act. mandates the licensing of groundwaterAll water beneath the surface of the ground whether in liquid or solid state. for non-domestic use – this includes community water supply, agricultural irrigation, industry etc. groundwaterAll water beneath the surface of the ground whether in liquid or solid state. users (non-domestic) will have a one-year grace period to apply for a license and have the application fee waived. groundwaterAll water beneath the surface of the ground whether in liquid or solid state. users have three years (from Feb. 29, 2016) to apply for a license if they want to maintain their priority date of first use. all applications received after March 1, 2019 will be treated as new users, with no historic priority date of use. outlines operating and maintenance requirements and standards for groundwaterAll water beneath the surface of the ground whether in liquid or solid state. wells. mandates the submission of well records for newly drilled wells. Other new regulations include: Dam Safety Regulation, Violation Ticket and Fines Regulation, Fees and Rentals Regulation. The Regional District of Nanaimo Board has forwarded a resolution regarding Rainwater as a Potable Water Source to the Association of Vancouver Island and Coastal Communities (AVICC) for consideration at their 2016 AGM and convention in April. If the resolution is adpoted at the AVICC convention, then it is forwarded to the Union of BC Municipalities convention in September. 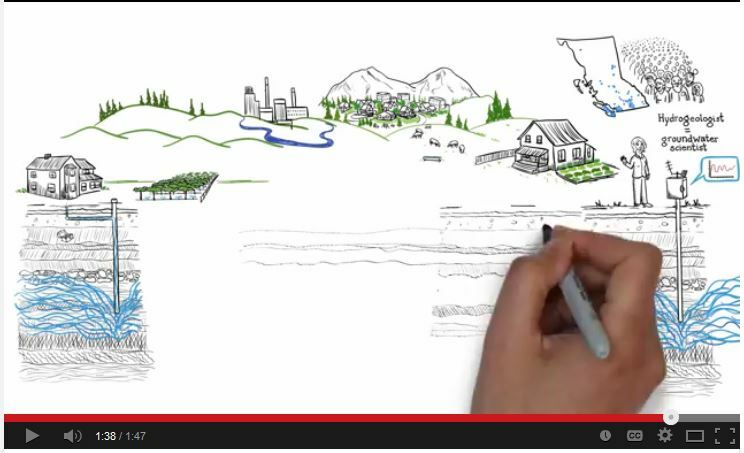 … for small water systems in BC that are regulated under the Drinking Water Protection Act. Small water systems purvey water to the public, for example community centres, restaurants, mobile home parks etc. 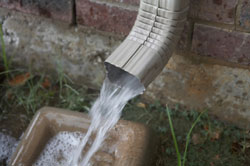 The need for this resolution comes from the fact that many small water systems that operate under the Act exist in water-stressed locations and would benefit from utilizing rainwater as an alternate / additional source of water to protect and reduce demandWater demand is an estimate of actual water use. on traditional water sources, namely groundwaterAll water beneath the surface of the ground whether in liquid or solid state..
Because rainwater is a non-traditional water source, however, the risks are largely unknown. The quality is inherently variable as collection surfaces and environmental conditions differ from place to place. There are currently no provincial rainwater treatment objectives or standards for characterizing rainwater as a drinking water source. There is currently no comprehensive provincial guidance or framework of requirements for water systems to safely develop and use rainwater for potable purposes. This lack of guidance and standards makes it difficult for water system operators to confidently and consistently address the safety requirements, and makes it difficult for the local health officers to approve rainwater source proposals. Ultimately this limits the successful utilization of rainwater as a potentially suitable additional water source to increase resiliency in rural areas. If the Province, via the Ministry of Health, had a comprehensive framework that was developed through research, it would improve the prospect of rainwater being used as a safe alternative drinking water source. This is what the RDN is urging of the Province, to ultimately build community self-sufficiency and resilience in rural areas. Vancouver Island has seen an extremely warm and dry spring and early summer. Record low snowpack has meant that the spring snowmelt came early and was short-lived, for a quicker transition to historic low-streamflow. More info at the River Forecast Centre website. The Province issued “Very Dry” Drought Conditions for Vancouver Island in early June , advising local authorities to implement voluntary conservation measures to reduce water demandWater demand is an estimate of actual water use.Water demandWater demand is an estimate of actual water use. 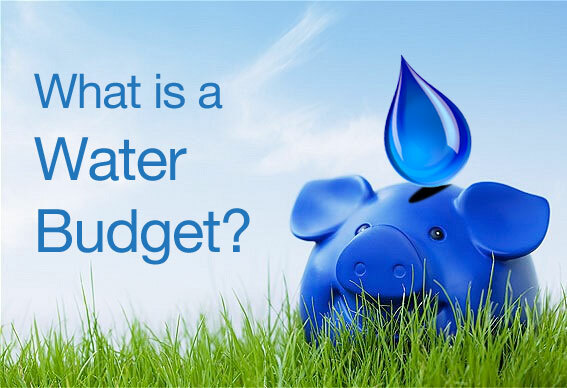 is an estimate of actual water use. on the strained supply. See the article here: Islanders urged to conserve water. 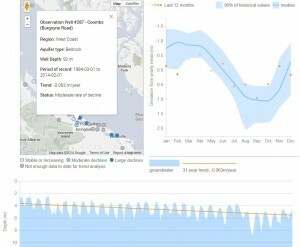 In early July, the Province escalated drought levels for Vancouver Island to “Extremely Dry”, to convey the severity of low streamflows and impact to water supply. This also enables Provincial regulatory response such as the Angling Ban. The RDN initiated Level 3 Watering Restrictions in mid-June and as of July 9th is now under a Level 4 Comprehensive Watering Ban. The Level 4 Comprehensive Watering Ban applies to the 8 RDN water service areas including Nanoose Bay Peninsula. The City of Parksville shares the same water restrictions as the RDN. This prohibits all outdoor lawn and garden sprinkling, vehicle washing and power-washing. Watering by hand-held container, hose with shut-off nozzle and drip irrigation is permitted only for vegetables, flowers, trees and shrubs. The BC Ministry of Environment, Environmental Reporting division, has come out with a great new way to see how GroundwaterAll water beneath the surface of the ground whether in liquid or solid state. Levels are faring across the province. Their data comes from a network of dedicated observation wells that monitor groundwaterAll water beneath the surface of the ground whether in liquid or solid state. availability in developed areas. There are 34 provincial observation wells which are currently active. Through a grant-funded, multi-government level partnership, 17 of these wells were added to the network between 2011 – 2013 as part of an expansion initiative to gain more groundwaterAll water beneath the surface of the ground whether in liquid or solid state. data in the RDN. 4 of the wells in the RDN are displaying “large declines” according to the provincial data. 3 are showing “moderate declines” and 17 do not have enough data for trendThe relationship between a series of data points (e.g. Mann Kendall test for trend). analysis (those would be for the most part the newly added wells!) 10 have shown levels to be “stable or increasing”. Also, a new video “It’s called groundwaterAll water beneath the surface of the ground whether in liquid or solid state. !” helps explain this important resource. Why do we need a DWWP Program? Through the Drinking Water & Watershed Protection (DWWP) program, we are working to learn more about water in the Region, use this information to make better land use decisions, and help communities protect the environment. The quality and amount of water in the ground and in our rivers is directly affected by what we do on the land. Land development, resource extraction, water consumption, and discharge of pollutants all affect water and are on the rise in the RDN. We have already seen negative changes in many areas. This not only affects the health of our local ecosystems but also the social and economic stability of the Region. Land use planning and development standards cannot be effectively modified without a clear understanding of our water resources, where they are changing, and why.